Despite chilly winter temperatures, we know it’s bound to be heating up in your salon as we enter party season! When your clients come to you to ask for an extra-special look for their Christmas meal or New Year’s Eve celebration, you need to make sure you have everything you need to create a stunning style that will ensure they come back next time. 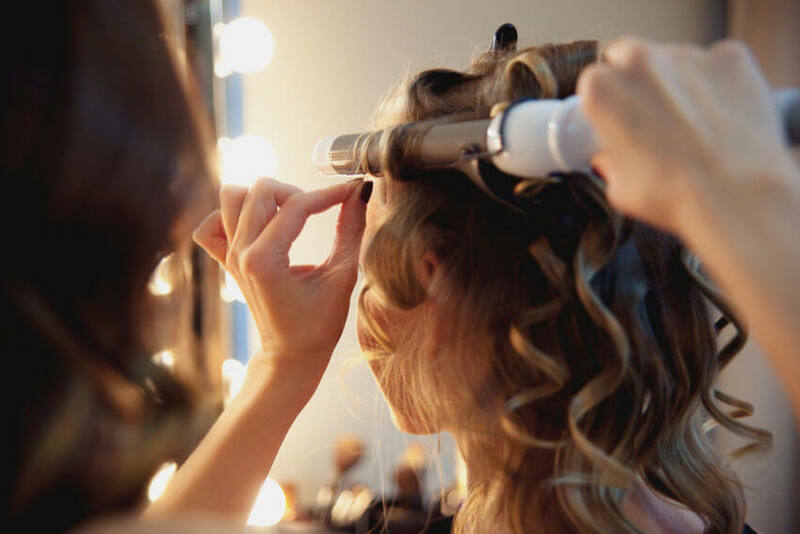 And, with little wiggle room between those festive bookings, the last thing you need is your hair dryers blowing out or frazzled tongs leaving your customers’ hair flat! A good hair dryer and diffuser is the foundation to any beautiful party look. Whether you are creating a big and bouncy blow dry or smooth and shiny locks, the last thing you want is to be battling frizz and fried ends. The Elchim 3900 Healthy Ionic Hair Dryer is one of the best hair dryers to have on hand during party season. Lightweight and with a built in silencer, this impressive looking tool won’t weigh you down when you’re on your last appointment of the day! Not just a load of hot air, this is favourite of many award-winning stylists, thanks to shine-boosting ionic technology and ability to reduce drying time by up to 30%. Curls are always big during party season. The go-to style for a glamorous look, your clients will be looking for all types of tousles, from tight barrel rolls to soft and loose waves. Diva Digital Wands are ideal for creating a range of different size curls. Available in a great selection of sizes to suit all hair lengths, the unique argan oil ceramic barrels promise smooth and shiny hair. They also heat up in seconds, so they will be ready when you are. If you need to create big and beautiful curls for your client, the Babyliss PRO Ceramic Dial-A-Heat Tong 24mm is what you need. With 25 precise temperature settings ranging up to 210°C, this is a hairdresser favourite for party-ready tresses and is available in a range of sizes from 13mm to 38mm. To be able to create a range of looks from one tool, the BaByliss PRO Perfect Curl MKII is perfect. Ideal for mobile hairdressers on the go this party season, this game-changing electrical styler can create tight, defined and loose waves at the touch of a button. With three heat settings that can be ready in seconds, this curler won’t slow you down when appointments are flooding in. See our full range of curling tools here. Hair straighteners are a must-have tool at any time of year, so come party season, make sure yours isn’t looking worse for wear. If you need to invest in a new hair iron to keep on top of your game this Christmas and New Year, the Diva Digital Styler is a top choice. Available in black and magenta, it features argan oil infused plates for sleek and shiny hair, plus can heat up to 235ºC in just 30 seconds! For shorter styles, men’s hair and fringes, the Diva Wide Digital Styler is perfect, too. Alternatively, the Corioliss C1 Professional Straightening Iron Silver Sparkle is another top electric tool for party season 2018. With a festive sparkle, the titanium floating plates are particularly good for thick or coarse hair, giving ultra-sleek results. Gliding seamlessly over hair, they are also ideal for creating curls and flicks. For creating curls, volume or texture in short hair, the Babyliss Ceramic Hot Brush 13mm is one of the most popular tools. With a non-slip handle and swivel cord, it is designed for easy usage, so won’t hold you back when you are in a hurry. Also available in 15mm and 18mm barrels, the replaceable soft bristles mean this hairdresser favourite will last through party season and beyond. Are you ready to create your most stunning looks this party season 2018? Shop our full range of hairdressing electricals to make sure you have everything you need now!